Like the rest of the beers from the brewery, Lowlander’s I.P.A is inspired by an historical story. An Indonesian pale ale, juxtaposed to India pale ale, the beer is a tribute to the forward thinking of sailors that would settle their debts within taverns using monkeys acquired during their travels (hence the monkey on the bottle label). 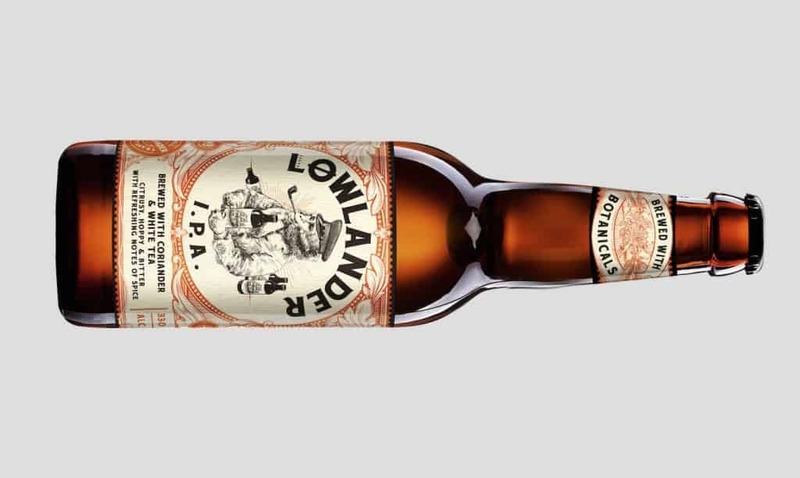 These travels would include expeditions to Indonesia, in which they’d return with exotic bounty, including botanicals such as white tea and coriander – both of which are used to brew Lowlander’s I.P.A. When poured, the beer is medium amber with an off-white head. On the nose, very subtle notes of white tea and coriander are joined by some malt complexity, peach, grapefruit and orange rind, plus some soft spiciness. Notes of bitter grapefruit continue on the palate, as do stronger flavours of fresh coriander. Although the beer has a slick texture and is generally fruity, the taste is mature with plenty of grassy hops and back notes of resinous pine. These are followed by some herbal bitterness that continues into a pleasant medium bitter finish. Further information on Lowlander Beer can be found at lowlander-beer.com.